Call me a nerd, call me a foodie. . . call me anything you like, but I cannot help but get extremely excited whenever I spot a new grain in Whole Foods to experiment with. In this case, I discovered a new-to-me whole grain blend composed of not one, not two, but seven different whole grains in one package! Thanks to the folks at Laurel Hill Foods, a local company based in Attleboro, Massachusetts, I was able to eat seven different types of grains in one shot! I have purchased some of their specialty grains before, like their black barley, and I really appreciate the somewhat unusual selection of grains this company sells. The last time I was in Whole Foods, I spotted the seven grain blend variety, and I knew I had to try it– in one little bag, you get rye berries, wheat berries, bulgur, buckwheat groats, spelt, pearled barley, and brown rice. 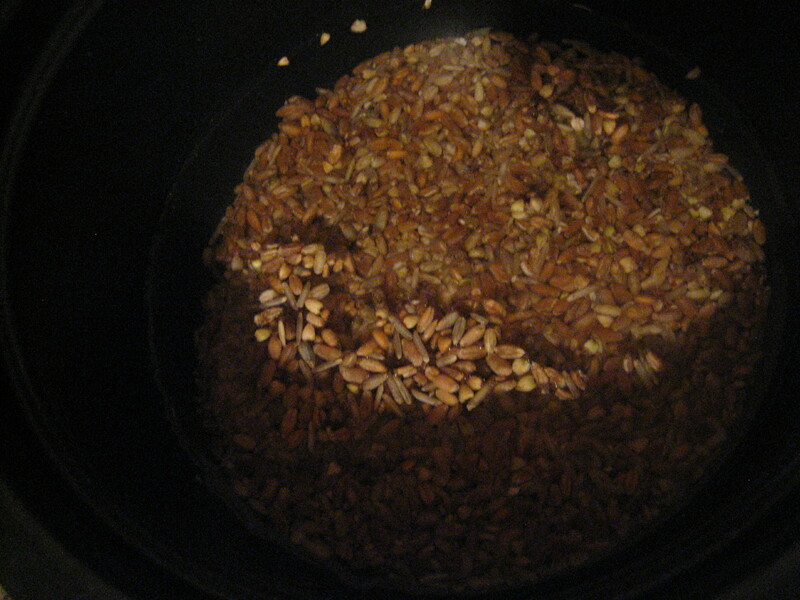 I decided to throw it in the rice cooker (one cup grains to two and a half cups water), and see what happened! About forty minutes later, all of the water was absorbed, and I was greeted by beautiful, fluffy grains, to be used in various incarnations throughout the week! The best thing about this mix is the combinations of all the various grain textures. I feared it would be too heavy or that the grains would not cook enough in forty minutes, which is the cooking time suggested by the package directions. 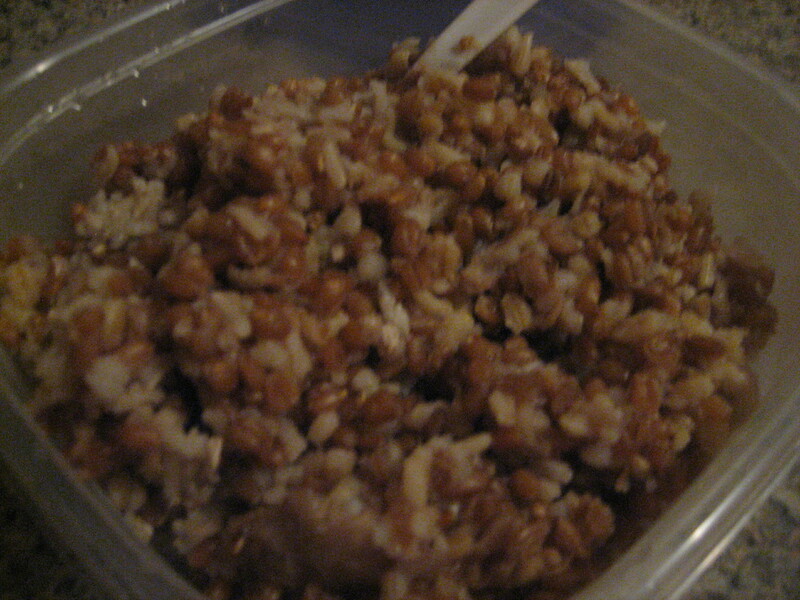 However, the end result was a chewy, just-soft-enough-but-not-too soft medley of delicious, nutty grains! As far as nutritional stats, this mix boasts five grams of fiber and five grams of protein per serving! In fact, I bet it would be fantastic as a breakfast cereal, maybe cooked in some form of milk and served with maple syrup and banana! Heavenly! I decided to eat this seven grain mix along with my pinto bean and plantain stew. 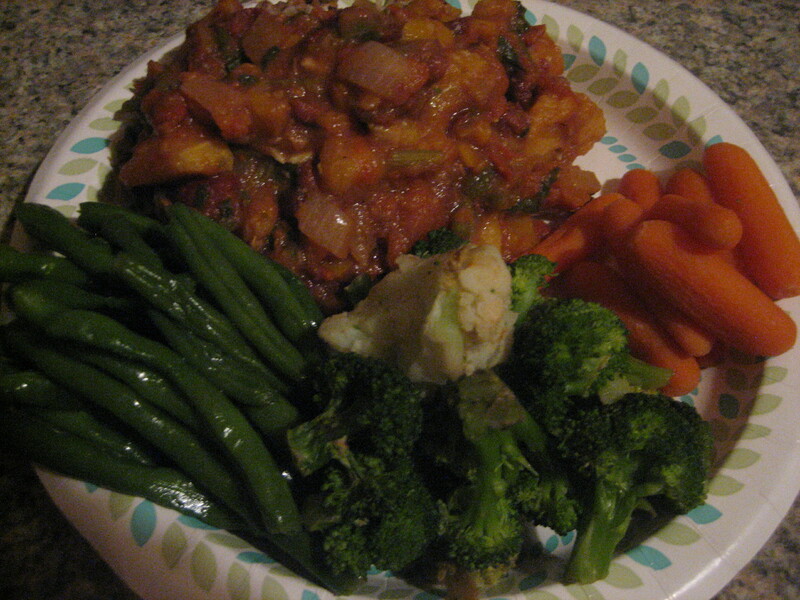 Here’s a pic, although it is a tad difficult to detect the grains through all of that stew! Trust me, they are there! This was definitely a new product win! 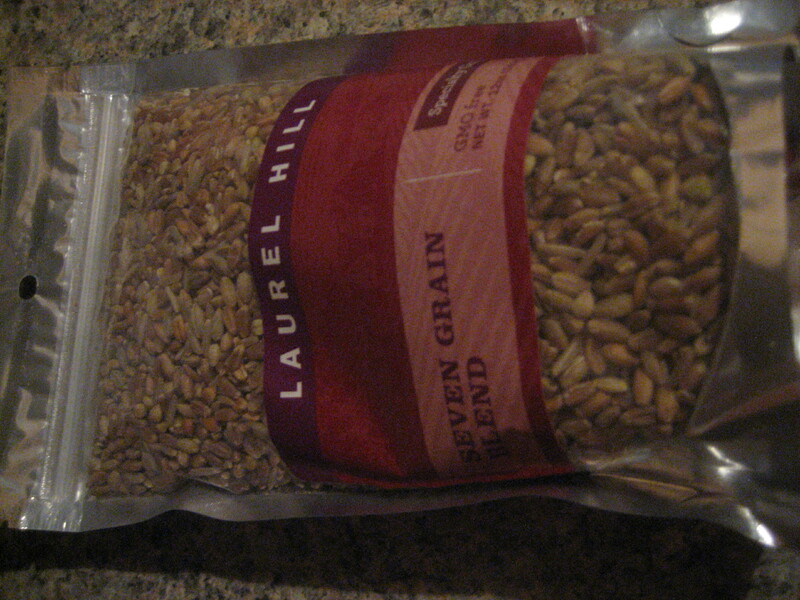 My only gripe with Laurel Hill Seven Grain Blend is the bag is a bit too small– I think I am going to have to stock up on this stuff! One Response to "Laurel Hill Seven Grain Blend"
Yes, I agree whole heartedly. I would like to find a bulk source as I am much too greedy for a 12 oz bag.